Hair Transplant repair is a correction of previous unsuccessful hair transplant surgery which hasn’t given good aesthetic results. During this process, the transplanted hair that doesn’t grow correctly is being removed or rectified. The wrong hairlines where hair wasn’t transplanted correctly are being rectified and the scars should be planted with hair. The HLC Hairline Clinic performs all these so-called Hair transplant Repair operations, due to our extensive experience. If you are only looking for a low-cost hair transplant, the risk of a future hair transplant repair is high. Most of the low-cost clinics working with the micromotors and are overharvesting the scalp donor area by assistants, so called nurses. In the end, the patient has a window look at the donor area and missing density on the recipient area. Also, the direction of the hair is not like it should be. To not get into this situation we recommend to do more research. With a poor hair transplant result, people have to live for the rest of their life. And if no suitable body grafts donor is given, a Repair Hair Transplant would be not possible anymore. If business does not perform as expected some hair transplant results may not always meet the patients´ expectations. Unfortunately, there are some clinics and physicians that unwillingly destroy the confidence of their patients by offering an unprofessional hair transplant. The obtained outcome either does not reach the promised density or turns out to be unnatural. In most cases a repair hair transplant is required to correct the results. Despite an excellent medical team and years of experience a repair cannot regularly prevent the patient from feeling disappointed or emotionally frustrated about the poor results of a former hair transplant. Emotional distress may determine the patient´s life since there is no hope for a better condition. 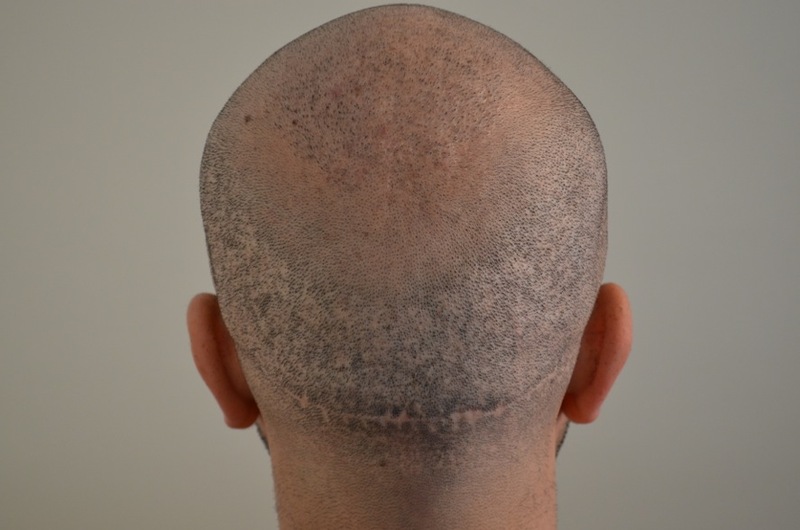 Modern state-of-the-art techniques for surgical hair transplant will allow for a significant improvement in the previous state and help to correct a failed hair transplantation caused by a previous clinic or provider. Since the HLC has its excellent reputation for repair hair transplant, especially when being associated with body hair transplant (BHT), our clinic is able to offer a wider spectrum of solutions for failed hair transplants than other clinics. Nonetheless has our clinic valid interest to inform its patients about the limitations of a repair. Reasons vary from patient to patient as they must be evaluated by the individual condition. The following summary is intended to provide our patients with a number of particular difficulties that may be associated with a repair. Even excellent hair surgeons who are making all efforts to correct unsatisfying and poor results of failed hair transplant may reach their limits in case there is no sufficient donor supply. As for scalp hair, this is even more valid since its pattern, structure and growing length is proven to be the best for a hair transplant. With scalp hair, it will be possible to harvest multiple grafts (hair follicles with up to 5 hair each) and generate a higher density at the balding zone of the patient. In case the scalp donor has considerably thinned out it may be difficult to perform a repair hair transplant resulting in the desired outcome of the patient. It is likely to happen that the donor has significantly been over-harvested during a previous hair transplant. Other than that some patients are genetically determined to have a lower density. As with both cases, the HLC may not always be able to ensure a fully satisfying repair hair transplant to meet the needs of the patient. The personal hairline regularly figures prominently during a hair transplant since it gives a frame to the face. It may cause great embarrassment for the patient in case there was no appropriate hairline design or unprofessional work has been done in a previous hair transplant. Patients undergoing a failed hair transplant may repeatedly get aware of the poor result during a daily observation in the mirror. One reoccurring mistake being performed with unprofessional hair transplants is placing multiple grafts (hair follicles with more than one hair) into the receding hairline. Since natural hairlines basically show single hair follicles with one hair only patients will be left with a visible and unnatural hairline for the future (a plug-like “doll´s hair”). Some hair transplant providers intentionally want to use this method to easily create an increased density in the hairline. Patients will be confronted with a lifetime hairline that appears unnatural and aesthetically unpleasing and finally results in low self-esteem. Another error regularly being made during hair transplantations shows a wrong growing angle. This happens due to wrong placement of the grafts which will no longer harmonize with the original direction of native hair. The new growing angle of relocated grafts will generate an uncoordinated hair growth on the patient´s head and expose an unnatural appearance. Asymmetric hairlines involving varying densities are very common with some of the results caused by low-budget clinics. Reasons are manifold; to name only a few: no professional procedure plan nor any concept are being made prior to the hair transplant, inexperienced physicians or medical assistants are performing significant parts of the hair transplant etc. The psychological condition under which patients regularly suffer from the poor results eventually guides them to ask for a repair at another clinic. The HLC is keen to help and intensively support those patients whose hairline has achieved an unnatural result. However, the capabilities for correction are regularly limited. On the one hand, unprofessionally placed hair follicles must be delicately removed from the hairline in order to place them with the right growing angle. On the other hand, new grafts need to be transplanted to create a natural hairline and an aesthetically pleasing density into a balding zone which has already undergone a failed hair transplant. Since this part of the recipient, the site has almost been penetrated during a previous procedure, it has fewer chances to recover than virgin scalp areas. This may also affect the outcome of a repair hair transplant and influence the expectations of the patient. Furthermore, any kind of repair will be very time consuming as well for the hair surgeon and for the patient. Some repair hair transplant needs to be performed on the patient in two separate procedures to achieve an aesthetically pleasing outcome since a failed hair transplant can be significantly hard to correct. Alternatively, a completely new hairline can be planned and designed by the clinic in case the patient has sufficient donor supply. Due to aesthetic reasons the HLC only utilizes scalp hair for receding hairlines. This means that the patient necessarily needs enough hair for a completely new hair transplant. As for a repair, body hair may often be a valid solution to successfully achieve a satisfying result. Those who suffer from visible scars on their head (due to outdated hair transplant methods like strip surgery, FUT) may ask for a repair to fully cover the scars with body hair. As a matter of fact, the HLC has numerous patients asking for a repair without being able to provide enough donor hair on their scalp. A body hair transplant may be the only solution for them to successfully achieve a satisfying outcome with a repair hair transplant. b) the chest (chest hair). This method is primarily being performed on male patients. Body hair has different genetic conditions than regular scalp hair. Both the structure and the diameter of body hair, as well as the growth cycles, are different from scalp hair. Furthermore, body hair regularly occurs in single-grafts (hair follicles with one hair) only whereas multiple grafts (hair follicles with 2 or more hair) wouldn´t be found. This is why significantly more body hair is needed to cover a larger area and achieve an aesthetically satisfying density. Unfortunately, a satisfying density is best achieved with multi-grafts from the scalp. Sometimes BHT (body hair transplant) only qualifies for supplementary hair to fully cover a low density. With Body Hair Transplant the average growing yield will be lower than with regular scalp hair. At the HLC patients may expect a growing yield between 80 - 90% for beard hair whereas for chest hair transplants the growing yield rarely shows a 50% growing yield. Unfortunately, there is no qualified statement possible since results are very volatile with a chest hair transplant. A repair is usually focused on a significant area at the recipient site that has almost undergone a previous hair transplant. The skin at this area has suffered from numerous incisions and finally started to create subcutaneous scarring. Sometimes our patients have experienced a lower growing yield as being desired or expected. We kindly ask our patients for understanding as we cannot regularly ensure a result to fully meet the expectations. As for body hair being used for a repair the growing yield may even be lower. Please note: Any repair being performed on our patients may not be able to fully undo a previous hair transplant and return to the previous state prior to the first procedure. Therefore irreversible consequences of failed hair transplantations will not be within the responsibility of the HLC. All physicians of the HLC truly understand the disappointment of some patients undergoing a repair procedure without achieving the final result being expected. We kindly ask for your understanding that some of the poor results and consequences of a previous hair transplant being performed at other clinics cannot be corrected completely. Genetic hair loss occurs as a process in several cycles and various intensities over many years. Patients, who are suffering from hair loss at an early age and willing to undergo a hair transplant necessarily need to be aware that hair loss will proceed with further aging. Serious and experienced hair surgeons regularly ask younger patients to wait until the final progress of hair loss can be seen. 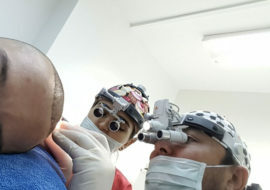 However, there is a number of unserious clinics and physicians willing to profit from the patient´s desolate situation and impatience, which offer hair transplants to younger patients. As with progressive balding, the final result will no longer meet the patient´s expectations due to advanced hair loss. This is the time when patients come to ask for a follow-up or repair at the HLC willing to achieve an aesthetically pleasing result and a higher density. Younger patients who are deciding against medication often risk the final success of a hair transplant. The HLC empathically recommends medication against hair loss (e.g. Rogaine, Finasteride) at younger ages to stop the process of hair loss. Professional donor management will then help to explore the resources for future hair transplants. Those who do not follow the recommendation will risk failing for a repair as it may only help to limit the damage but no longer meet the patient´s genuine expectations. 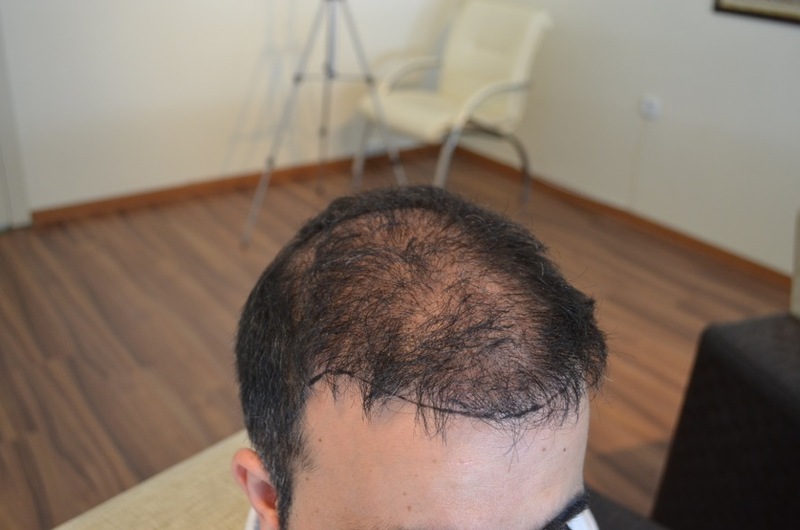 Patients having undergone a hair transplant via motorized punch (robotic extraction / automated hair transplant) often opt for a repair at the HLC as the results appear to be very unsatisfactory. Our experienced medical staff has observed a number of patients whose transplanted hair (grafts) are starting to get thinner and miniaturize over a certain period. Some of the transplanted grafts even start to fall out lately for no reason. This regularly happens with patients having undergone a hair transplant at low-cost providers. 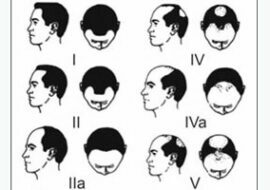 In particular, the opted number of hair follicles does not correspond to the result is visible on the balding area. Since these effects are regularly seen among patients from clinics with bargain-offers involving the use of micromotors it is likely to be assumed that the transaction rate must be very high. The risk of transecting hair follicles becomes all the greater when higher extraction rates (mega-sessions) are being performed within a shorter period of time. Hair transplant clinics promising to relocate a total of 3,000 to 5,000 grafts per day will generally miss the necessary attention and care during the extraction process. Hair follicles may then be injured, partially or fully transected to negatively affect the growth yield. This is why the promised density does not always meet the expectations. During a repair, the physicians of the HLC often notice thinning hair follicles growing at the recipient site which do not achieve the necessary structure to match with remaining native hair. 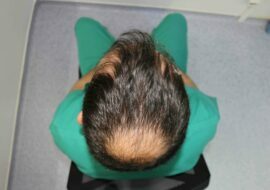 Those with complete balding will realize that the miniaturizing grafts are not sufficient to fully cover the recipient site nor achieve an aesthetically pleasing result. It is with special interest and importance to distinguish between the original result of the hair transplant and the final outcome of a repair. Those follicles (grafts) being injured or transected during the first hair transplant may even tend to fall out after the repair and affect the final result. Eventually, the growing yield will be lower with every further procedure at the same area (see also No. 4.). With years of experience, the HLC has gained global respect for successful repair in hair transplant. Patients feeling embarrassed or dissatisfied about the poor results of a previous hair transplant come to visit our clinic in order to evaluate and discuss the chances and prospects remaining after a failed hair transplant. Great embarrassment and mental stress become evident with these patients who have undergone emotional distress over many years. The individual dissatisfaction resulting from genetic hair loss will regularly be exacerbated by failed and unprofessionally performed hair transplants. Unfortunately, dubious discounters for hair transplant and supposedly new techniques (e.g. DHI, sapphire FUE, etc.) are getting more popular in order to profit from the misery and needs of embarrassed patients. Unprofessionally working clinics and providers start to exploit the needs of patients claiming to be cost-effective and professional. The damage caused by these clinics can only be limited, but never be fully eliminated. The HLC and its entire team truly understand the concerns and misery of these patients. Due to irreversible results of failed hair transplants, our clinic has, unfortunately, only limited possibilities to perform a fully satisfying repair. Nonetheless, the HLC and our professional team are trying the best to achieve the best possible outcome and regularly succeeds in repair with aesthetically pleasing results. Since there is no unlimited donor supply available and over-harvested donors may not be recharged the HLC will not always be able to make use of those possibilities that would have been available had the patient come to us from the beginning! It is in your own interest not to focus on the costs only when planning a hair transplant since it may be more expensive in the long run. We kindly ask you to comprehensively inform yourself about the quality of the clinic, the methods chosen and the hair surgeon before you ask for a hair transplant. Whoever treats your most important capital, your own head, should meet all necessary standards.